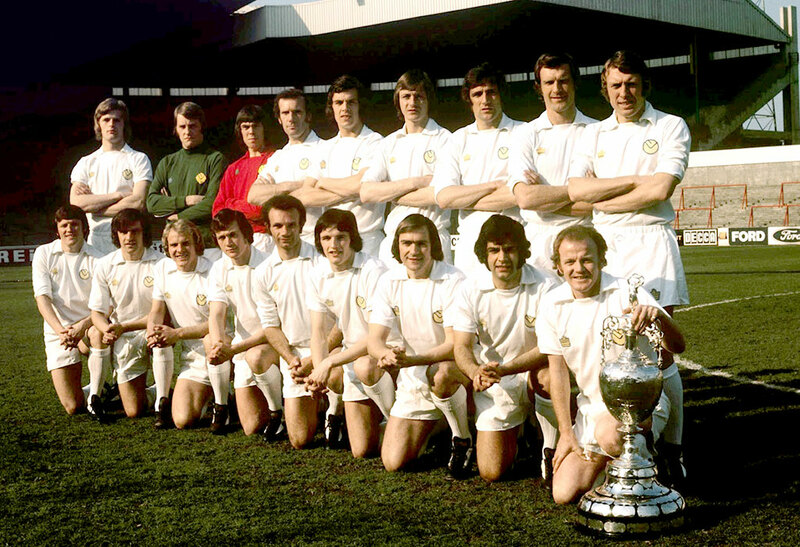 Teknik direktör Don Revie yönetiminde, 1973-1974 sezonunda İngiltere Ligi’nde şampiyon olan Leeds United. Ayaktakiler: Gordon McQueen, David Stewart, David Harvey, Roy Ellam, Joe Jordan, Allan Clarke, Norman Hunter, Paul Madeley, Mick Jones. Oturanlar: Eddie Gray, Peter Lorimer, Terry Yorath, Trevor Cherry, Paul Reaney, Frank Gray, Terry Cooper, Mick Bates, Billy Bremner.